Tyseer M. F. Marzouk et al. One of the studies compared the alleviating effects of massage using blend of essential oils and sweet almond oil only on menstrual pain in Egyptian nursing students. 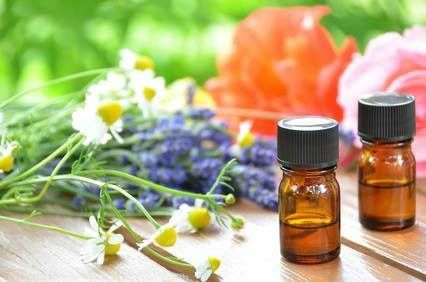 Aromatherapy group received 10 minutes abdominal massage once daily for seven days prior to menstruation using cinnamon, clove, rose and lavender oils in a 1.5 : 1.5 : 1 : 1 ratio 5% diluted in sweet almond oil. The placebo group received the same intervention of aromatherapy group with sweet almond oil only. The level of pain was assessed by visual analogue scale (VAS-pain), a simple assessment tool consisting of a 10 cm line with 0 on one end representing no pain, and 10 on the other end representing the worst pain. The other study compared the alleviating effects of aromatherapy massage and acetaminophen (oral analgesic widely used for managing pain) on menstrual pain in Korean high school girls. The outcomes were measured before intervention and twenty-four hours afterwards with a VAS and the aromatherapy group showed greater reduction of pain after 24 hours as compared with the control group taken acetaminophen. Primary dysmenorrhea is one of the most common gynecologic disorders affecting majority of menstruating women, a cramping pain in the lower abdomen occurring just before or during menstruation, when pelvic examination and ovulatory function are normal. The pain is believed as the result of excessive prostaglandin release which causes vasoconstriction of uterine blood vessels and increases uterine smooth muscle contraction. It can be relieved by increased blood circulation and antispasmodics. Aromatherapy is the therapeutic use of essential oils derived from plants which can be absorbed into the body via the skin or the olfactory system. Topically applied diluted essential oils in combination with abdominal massage may be beneficial in improving blood circulation and reduces the spasms. When essential oils are inhaled, olfactory receptor cells are stimulated and the impulses are transmitted to the emotional centre of the brain, or “limbic system.” This may be effective in helping to alleviate menstrual pain. There is no side effects reported, aromatherapy can be regarded as a safe and effective treatment for primary dysmenorrhea.